Click here to visit the Sinus Rinse facebook and like them. have used this bottle w/neil med products since its inception.works well for me and wouldn’t consider any of the newer ones on market today;not as effective for me. would like to try this !!! 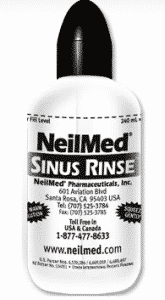 I love the sinus rinse, because when the pollen start falling, I use my sinus rinse.